Topi are large antelopes that have a unique coloration in their fur. The young are born a sandy-brown color and as they grow they get darker with a dark black-purple coloration on their face, hips, and shoulders. The black around the face serves a important purpose to the way they see, the black absorbers sunlight making it easier for the animal to see predators in the distance, like cheetahs have done with the stripes around their eyes. Though Topis puffer to trot or walk they have been known to run up to 70km/h or 44mph, fast enough to outrun a leopard, hyena, or lion pride (if they don't lose their footing). Topis are vary good jumpers, in a large herd they will jump over each other instead of trampling each other. 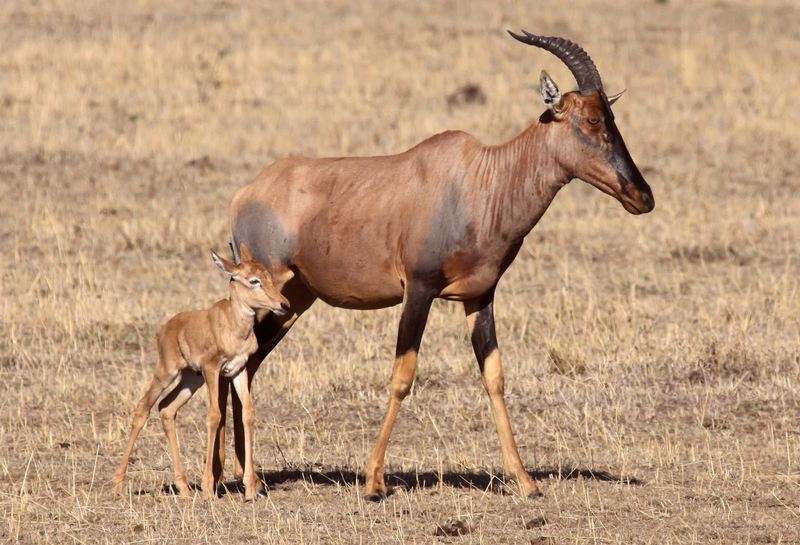 Topis are vary sociable, among the most socially advanced ungulates (hoofed animals) in the world. 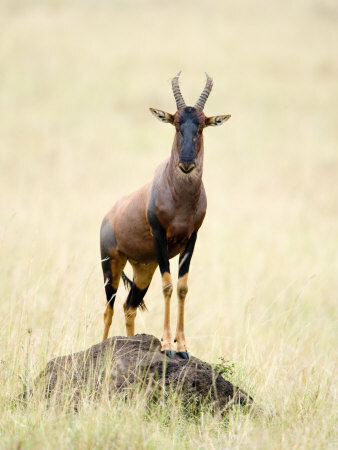 Topis have a strange behavior of standing on termite mounds, they do this to keep a look out for predators, and the termites get to eat the plant material off the Topis hooves so that they don't get pain in their hooves. 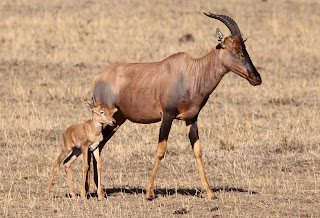 The Topis range is vast, though the animal is not threatened they are isolated from each other, making the risk of inbreeding present, to much inbreeding can easily destroy the species and the food web.